The last couple weeks were a lot more action packed than I wrote about it my last What I’ve Been Up To post. I was finally over my flu and also FINALLY GOT PAID! Ohh that 7 week pay gap over Christmas is a killer every year! 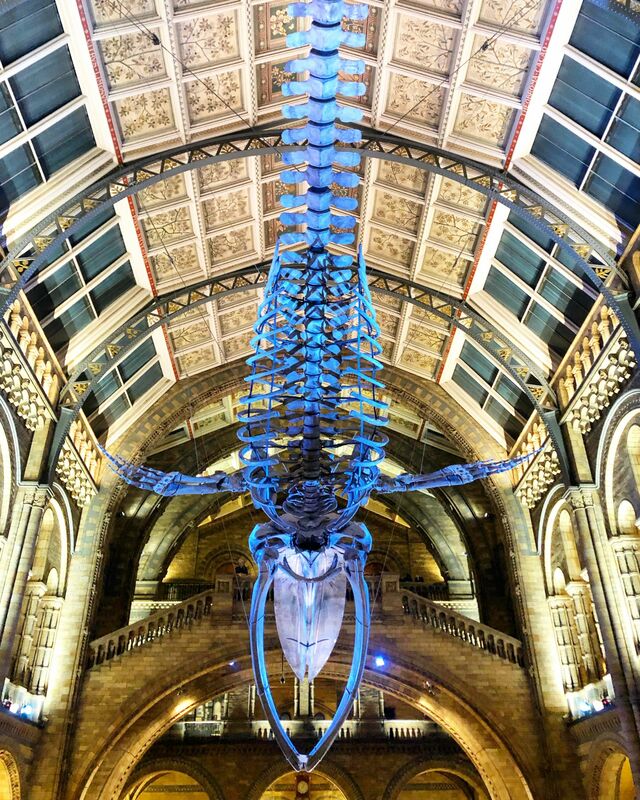 The Natural History Museum is one of my favourite spots in London. The dinosaurs, the architecture of Hintze Hall, the volcano section. It’s all just incredible. 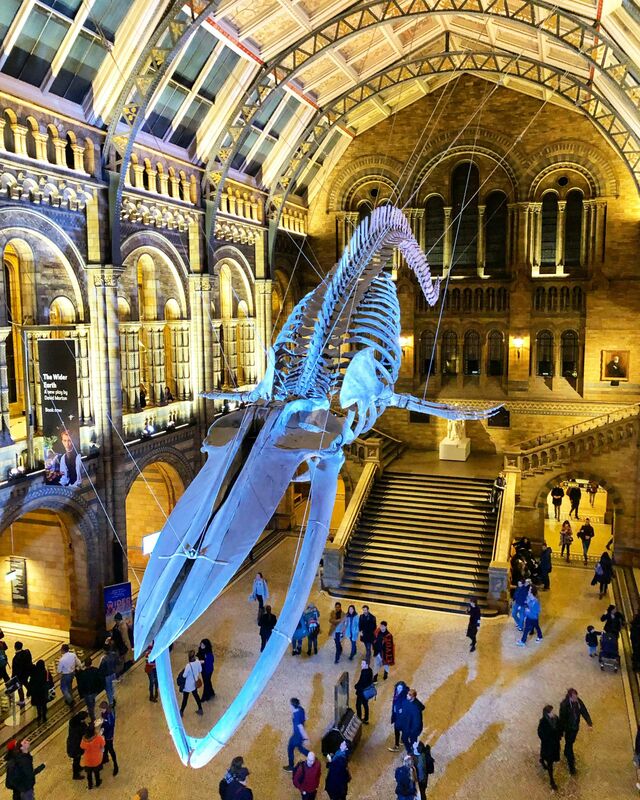 On the last Friday of every month they stay open late for adult’s only, when you can wander the exhibits with a drink in hand – G&T-Rex anyone? On the 26th my friend from uni was in London for work, so we met up at the museum for a good catch up. Ruth loves the museum as much as I do, and we’ve been to many special exhibitions together, so it was the perfect place for us to meet. It was also warm and free – perfect for a cold January night out! It was so lovely to see her and hear what she’s been up to. She’s one of those amazing friends that even though we don’t get to see each other often, but when we do it’s like we’ve never been apart. Such a good egg! I also got together with my school friends to celebrate Gemma’s birthday, at a local Turkish restaurant and pub near where we grew up. 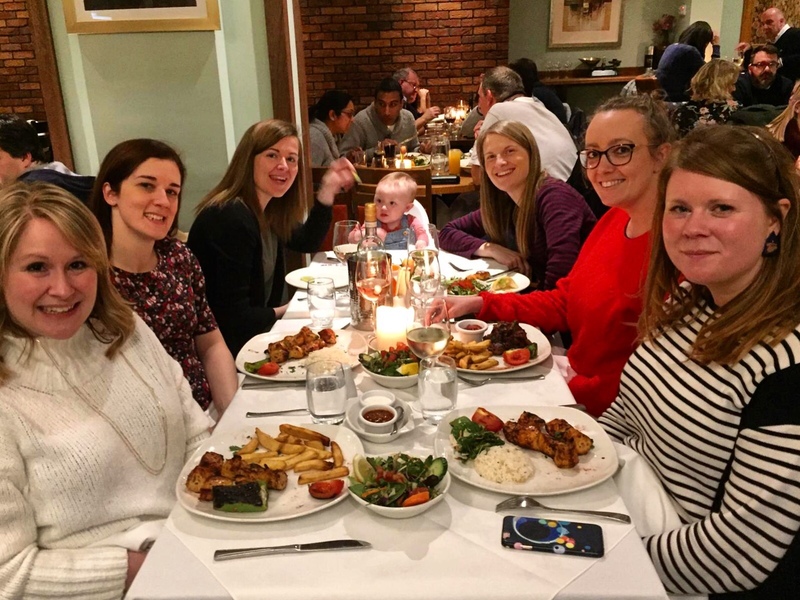 We haven’t all been together for a long time so it was really lovely to catch up, and we even had our littlest friend with us – baby Isabella! She’s such a little a pickle, and also had a baby pink fur jacket with a teddy bear hood, and I’m still gutted I wasn’t wearing mine so we could twin! Also gutted mine doesn’t have a teddy bear hood. Andy and I went for breakfast at our favourite Brixton Village hot spot, Senzala Creperie. I’ve written about it many times on my blog before (here and here if you fancy a gander) but it’s just so good and my favourite local place to go for breakfast. 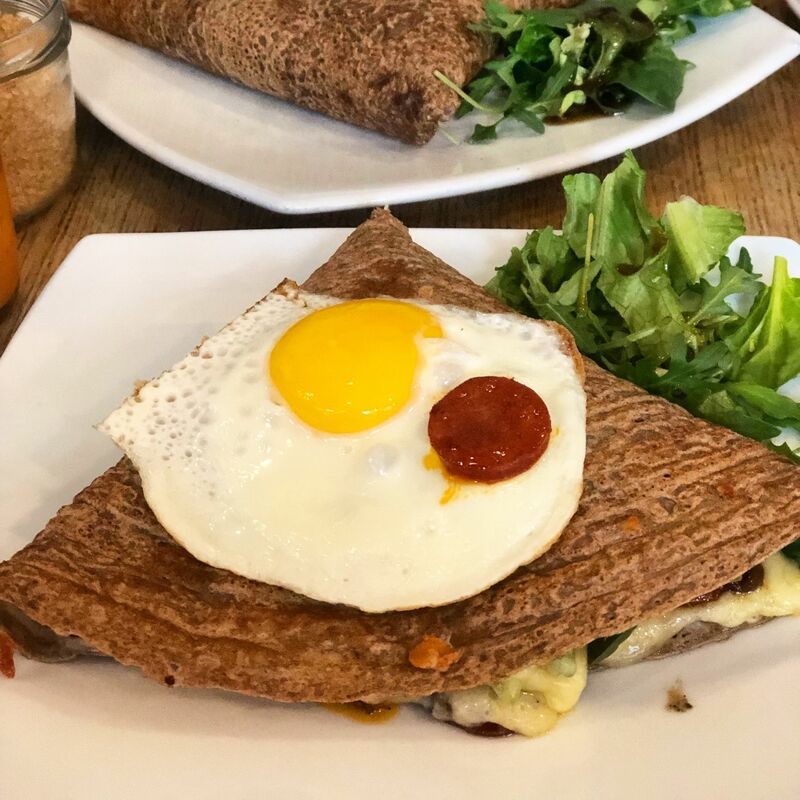 I had my usual Spaniard – chorizo, red onion, spinach, cheese and fried egg topped buckwheat galette. Yep, just as glorious as it sounds! 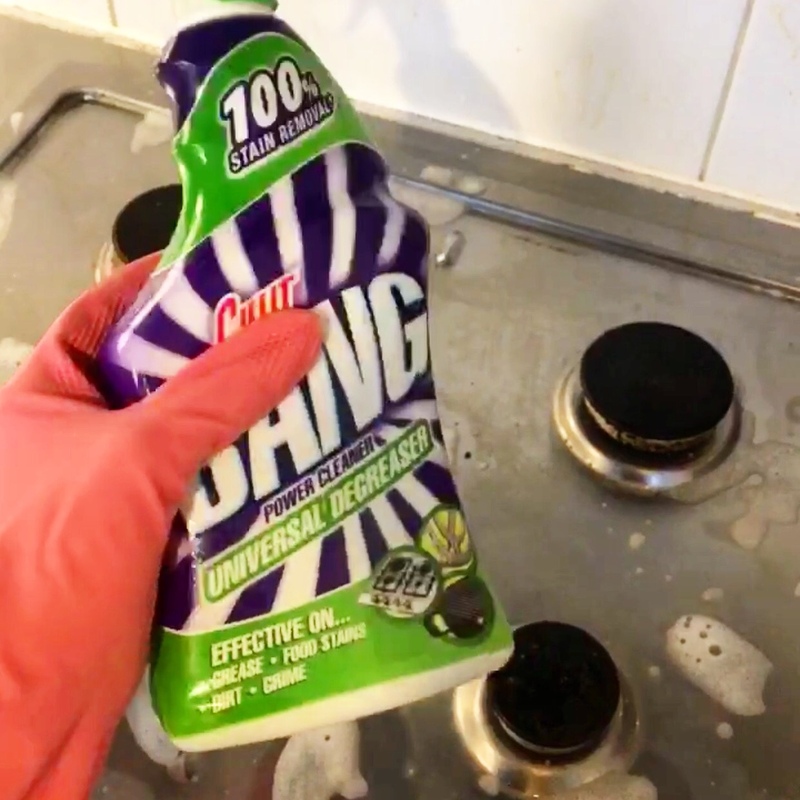 I work hard with long hours all week and the last thing I want to do in the evening or at the weekend is don the rubber gloves and get scrubbing. I also have OCD, which you’d think would mean I love cleaning but actually means it gives me great anxiety touching other people’s filth! I live with two boys and while Andy is quite clean at a surface level, the kitchen definitely has not had a proper deep clean for at least two years. We had planned on getting a cleaner, but we (Andy) decided we’d be better off saving money and just having a good session one Sunday to “do what that woman you watch on Instagram does”. Yep my love for Mrs Hinch caused this. That and my love of spending money – he lured me to Poundland first to make it seem like a fun Sunday activity. Yes, we are still together, but I totally reason with you asking!! I then took to the kitchen and spent THE NEXT 3 HOURS scrubbing the little bugger within an inch of its life! It was traumatising. But I must admit, I am LOVING walking into that kitchen and having every surface glitter and gleam at me. Oh crikey, could this be a new me?! 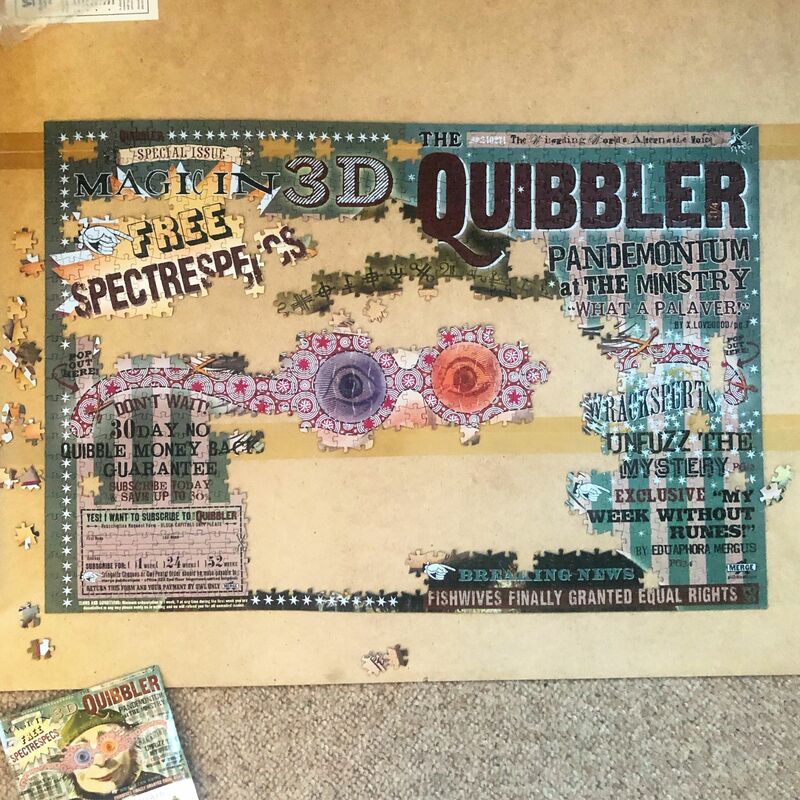 This was supposed to be one of my birthday presents, but Andy decided I needed a treat (distraction from the trauma) after making that kitchen sparkle so gave me this amazing Harry Potter Quibbler jigsaw puzzle. It has been so nice to come home in the evenings and sit and do something relaxing and non computer based after a long day at work. January is super busy at work, and I’ve definitely been putting my all into work over the last couple months. Each month we do Hero Nominations for who we think has excelled at exhibiting company values and gone above and beyond for their role. Think Andy King from Fyre but without the sexual favours. Well I’m super excited to say I got three nominations for January which I’m so excited about! Even if I don’t win it means so much to be nominated and have my hard work and effort pay off, especially as two of those nominations came from my boss and our CEO. At what age do you stop texting your parents when you get told you’ve done well?! 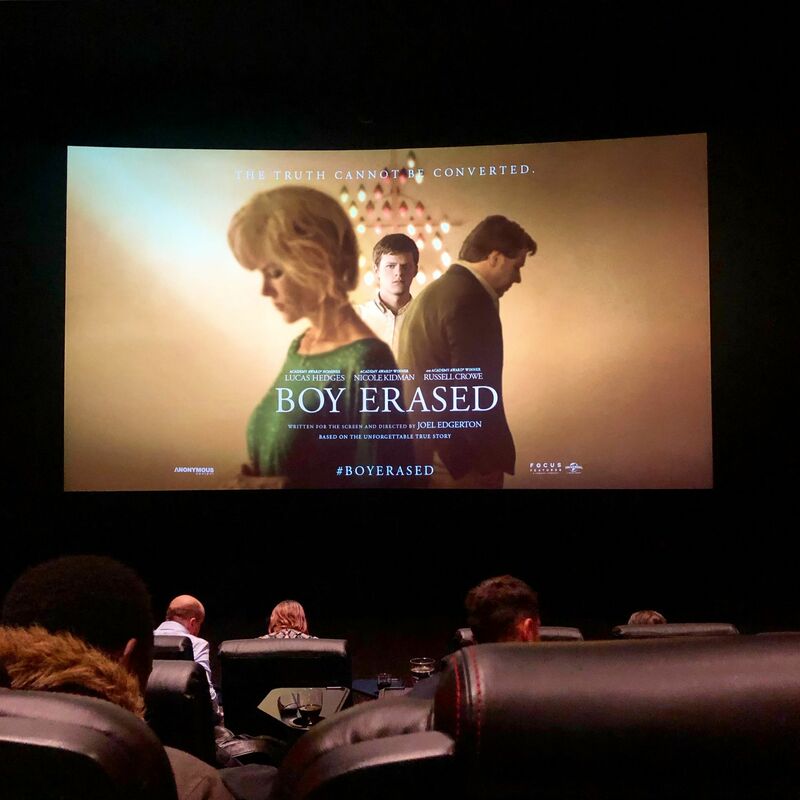 I was luckily enough to lay my paws on some free tickets to a preview screening of Boy Erased, which is due in cinemas on 8th Feb.
Its based on the true story of a boy bought up in Arkansas, son of a pastor, who is sent to conversion therapy to “cure him of his sexuality”. Yep, really. Eye rolling hard over here too. Whilst I’d heard of such nonsense before, I wasn’t quite aware of how they go about it. Spoiler – it’s pretty shocking and heart breaking! I got so angry during the film, and cried three times. I can’t believe it’s still legal to send minors to conversion therapy in the US and the UK. It was really well acted, Nicole Kidman was especially great as Jared’s mother and it brings awareness to such an awful and outdated way of thinking and practice that really should be stamped out by now. I definitely recommend giving it a watch if you can. Despite growing up in London, I have never been to Wimbledon before. Andy and I decided to mix up our Sunday dog-perving park walk routine, and go for an explore in Wimbledon, and we had such a nice day. 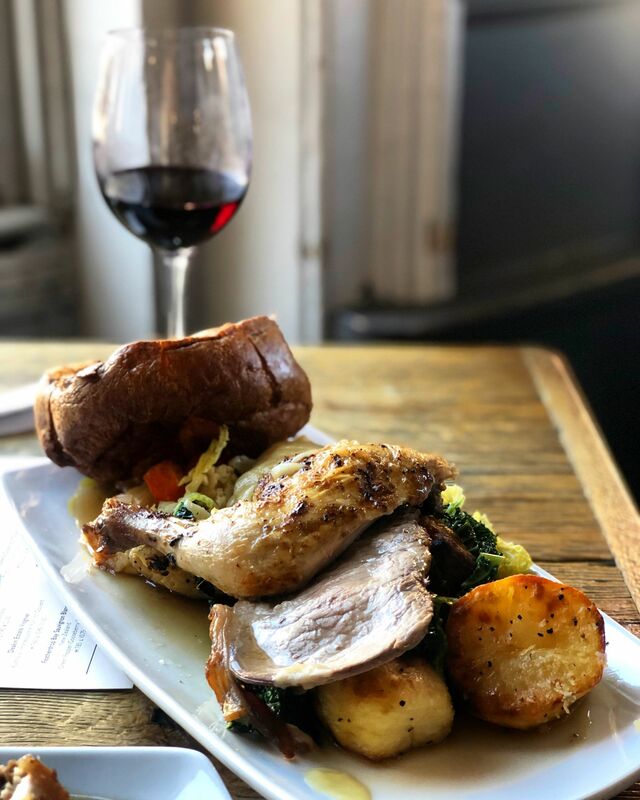 After mooching round the shops we ended up at The Dog and Fox pub for an epic roast – beef striploin, pork belly and lemon and thyme chicken, with ALL the trimmings, and washed down with a bottle of Malbec. It was bloody glorious and so much better than our last pub lunch in Dulwich. We’ll definitely be back! Next time I hope to combine it with a wander round Wimbledon Common too. Dog watching and a delicious lunch – perfect! Every payday I think I’m a millionaire and celebrate finally having a bit of cash to splash by SPAFFING IT EVERYWHERE! This month was no different, and my god did it feel good tapping that card after THE LONGEST, POOREST JANUARY IN THE HISTORY OF THE WORLD! I bought a couple of skirts and a top in Primark (which I can legitimately pass off as a practical purchase as I have a Christening coming up and nothing to wear to it). 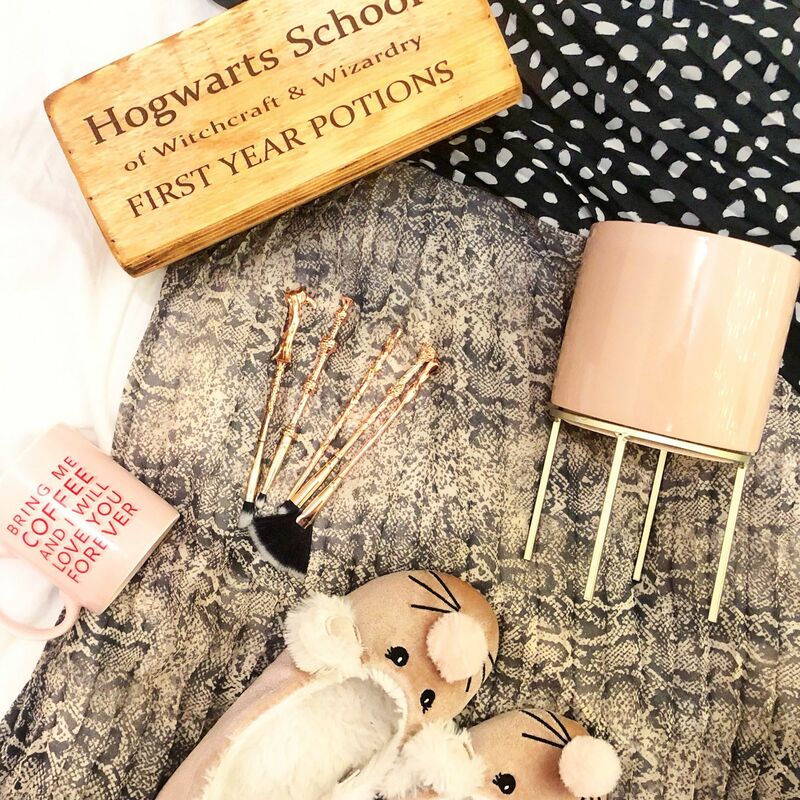 I grabbed a mug which I most definitely did not need, ditto some Harry Potter make up brushes that are too pretty to use, slippers I’m definitely too old for and a plant pot my boyfriend doesn’t particularly like. 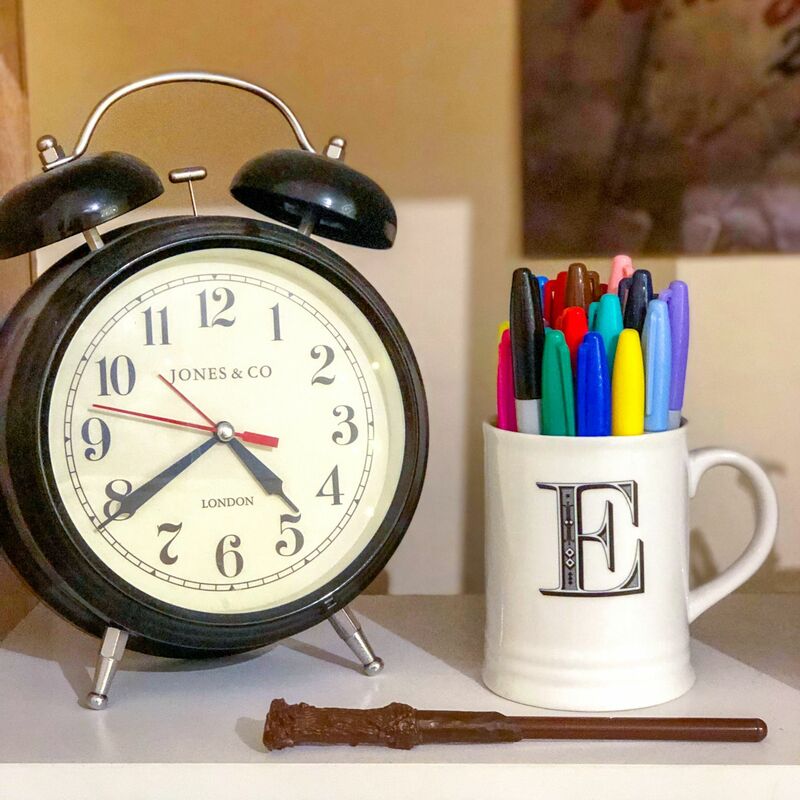 The icing on the cake though was THIS INCREDIBLE HARRY POTTER WOODEN STORAGE CRATE! LOOK AT IT! It was a – debatably – bargainous £10 from a furniture shop in Wimbledon, and my goodness I’ve never been more smug exiting a shop before! Overall a fun couple of weeks! I’m super excited for the next fortnight too – it’s my birthday on Valentines Day, and I have a fun mystery day out with Andy planned to celebrate, and will be catching up with lots of friends and family too. Don’t forget to follow me on Instagram to see more of what I’m up to to. I’ve been loving a bit of insta stories recently too, so you could actually hear my dulcet tones. Everyone loves a Croydon accent, right?! 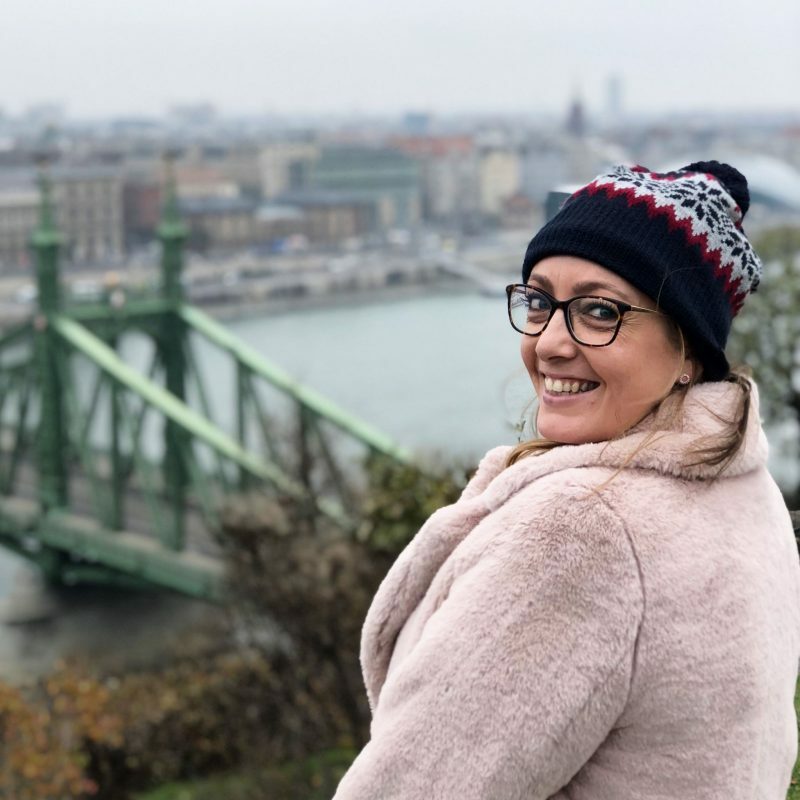 I'm Emma (or Emsypickle) - a London lifestyle blogger. 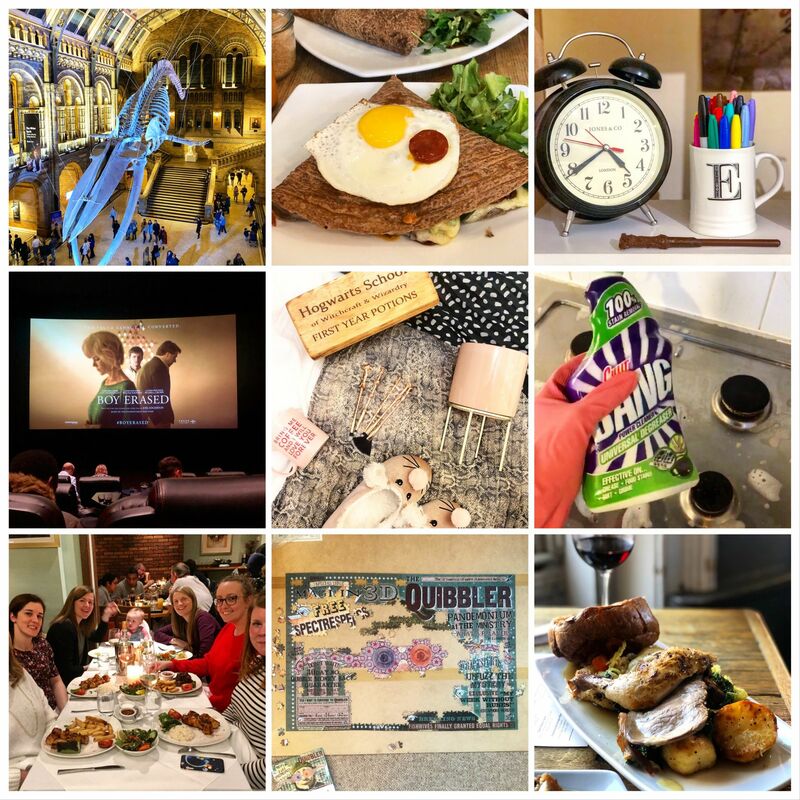 I live in Brixton, love to travel, eat out far too much and have a border line unhealthy obsession with Harry Potter.